We chose to open our Mexican restaurant in Bellevue for it’s small-town feel while still being in the metro-area. We love being tucked away, which means while you’re here, you really can feel like you’re away from it all. If you’re looking for Mexican food in Bellevue or Omaha, Lil Burro is just minutes away ready to offer you freshest, richest flavors you’ve ever had. Take the Capehart Exit off of US 75/Kennedy Freeway. 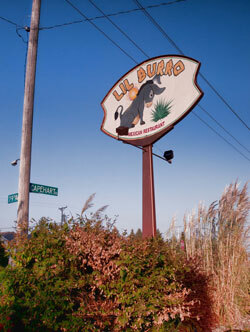 Head west to 29th Avenue and Lil Burro is nestled under the water tower.